It wasn’t the gold in the earth that gave this area its name, rather it was the “gold” of cultural institutions and civic governing that named this area. In 1902, the Denver Municipal Art Commission began to conceptualize a civic center to serve both the City of Denver and the State of Colorado. The Colorado State Capitol was completed in 1904 and the Central Library was built in 1910 with money from the Andrew Carnegie Foundation. Monuments, parks, civic plazas, memorials, museums, and many additional federal, state and city buildings followed. Modern-time renewal came with the expansion of many of the original facilities including the Central Library in 1995 and the Denver Art Museum in 2006 with its landmark titanium-clad exterior. The remainder of the Golden Triangle had deteriorated into parking lots, auto repair shops, car dealerships, and warehouses. As the luster and grandeur of the Golden Triangle returned, more than 500-residential units were constructed in low-rise and mid-rise condominium buildings. These luxury projects include amenities such as doorman, concierge services, secure underground parking, and other upscale features. Today, the Golden Triangle is considered a sophisticated and elegant neighborhood in which to live. Cultural and the arts are within walking distance. 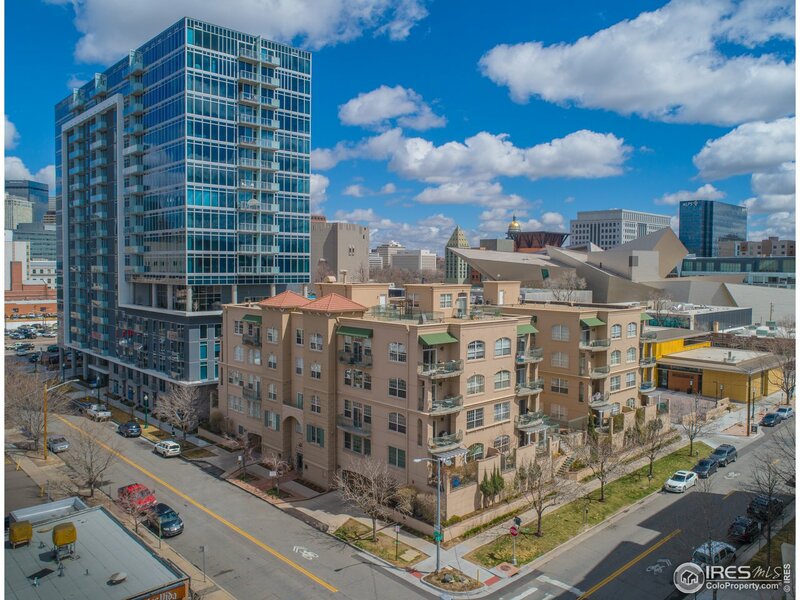 The LoDo, Downtown, Ballpark, and Riverfront Park neighborhoods are short distances away with inviting cafes, restaurants, coffee houses, and boutique shopping.